OK 48 Across the Deep Fork River, Okfuskee Co. 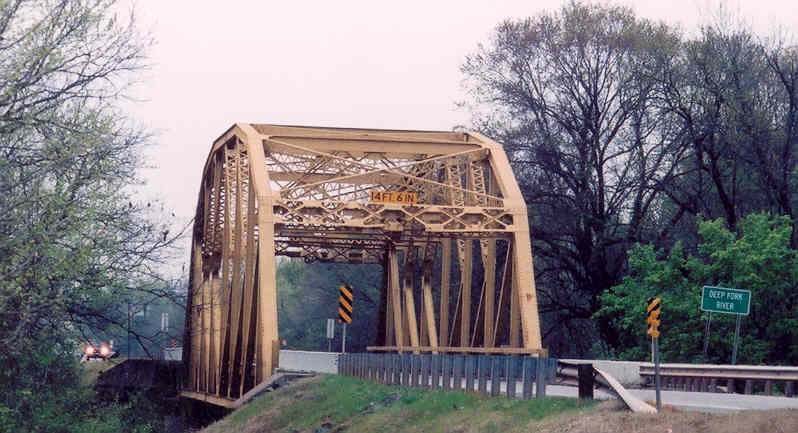 Built in the late 1930's, this 160 foot long K-truss spans the Deep Fork River near Welty. 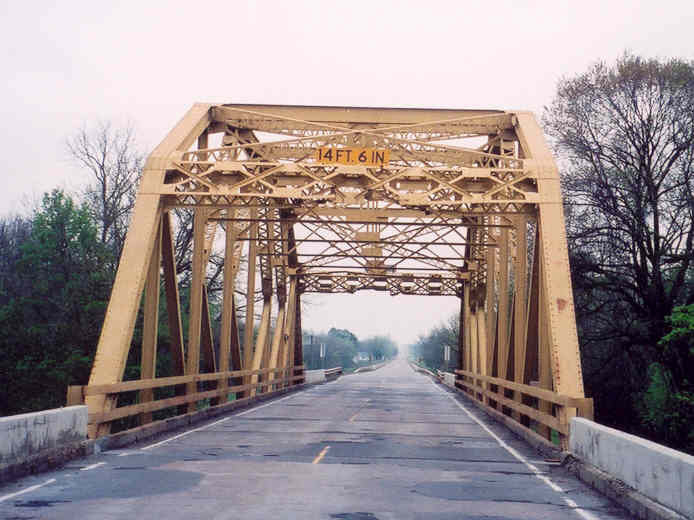 The bridge is about 1/4 mile south of the Cree-Okfuskee County line. Below, a view along the side of the bridge. 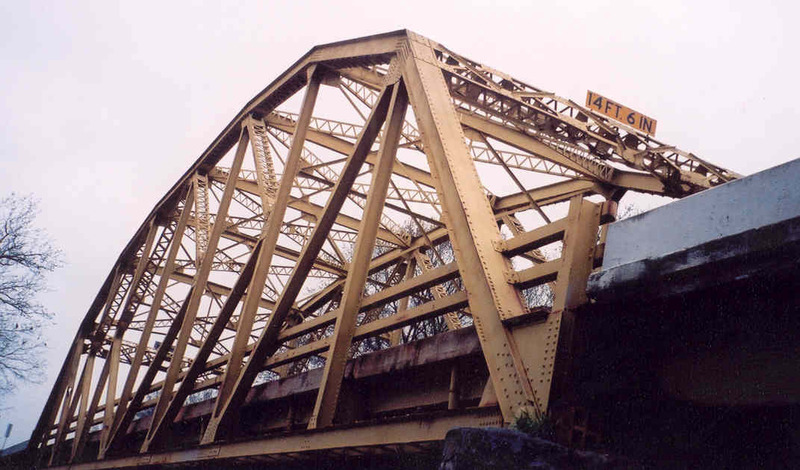 Most of the steel work in the truss span was found to be in good condition. The approach spans were a little worse off, but still workable. Below, the portal and bridge deck. Like many bridges on highways, this one has seen plenty of tall vehicle collisions.